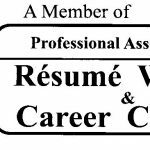 Great question proposed by a potential resume writing client: How is it handled on a professional resume with someone such as myself who has been with the same company for over 15 years? Pretty much the same way as I approach any background. I take what you did and build your story by listing responsibilities, but also including quantitative results from your metrics to include so the future employer sees how you impact bottom lines as well as your showcasing your perspective towards wanting to aid them with gaining market share and not just simply getting the job done and going home. Showing them that you work on continuous improvements and maybe will train the rest of the team on those processes. Possibly highlighting your ability to multitask on various projects that do get completed on time and under budget, but also going the extra step to implement some lean processes so that you can show your responsibility to own the time factor and knowledge of efficiency in your business. I also will keep it to 1-2 pages, so maintaining brevity becomes my ultimate goal when trying to tell your story.